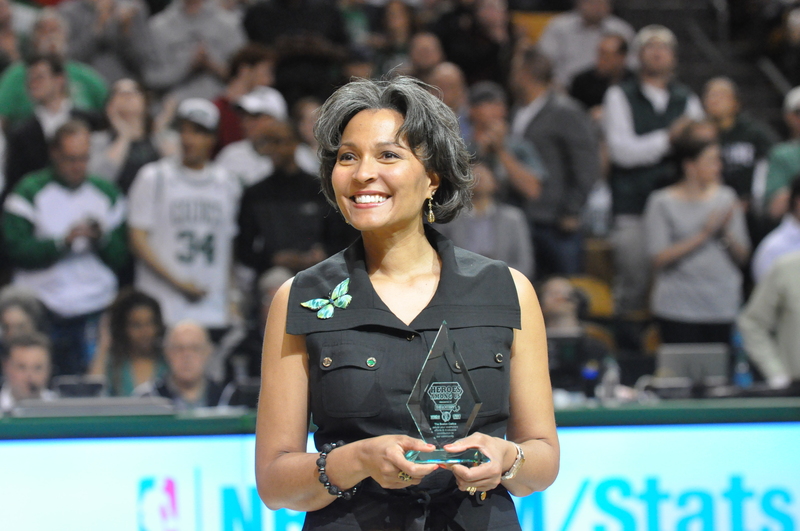 Yesterday was Giving Tuesday, a day that started two years ago in an effort to give back to our community and organizations that are helping to make a difference. In contrast to this idea is the 2013 word of the year, “selfie,” a craze that has taken over the internet with many people posting photos of themselves. Berklee City Music Board Member, Jeff Walker, suggests in his Huffington Post Blog Post that we turn it around and make it the “UNselfie” and show our support of those who are doing good by taking “pictures could be of people doing good things, of acts of kindness, of compassion in action! Being UNselfish!” To help start the trend here is a collection of Instagram pictures from around the Berklee City Music Network and our supporters showing the “UNselfies” of those giving back. Jeff Walker, author of The Generosity Network and Berklee City Music Board Member engaging members of the Berklee City Music Network at the 2013 Berklee City Music Network Conference about board development. Boston Celtics power forward Brandon Bass, participating in a master class with Berklee City Music Boston students. Berklee Alumni, performing artist, and Artistic Director of the Internship Program at our Network site Tipitina’s Foundation in New Orleans, Donald Harrison, teaching a master class with Berklee City Music Boston students. Network member A Place Called Home‘s Executive Director, Jonathan Zeichner, and staff providing Thanksgiving Dinner to the South Central Los Angeles community. The Shoe Crew providing 804 pairs of shoes to children at A Place Called Home. Incredible day giving shoes to kids in need at @apch2830. We gave away 804 pairs to kids who need them the most! 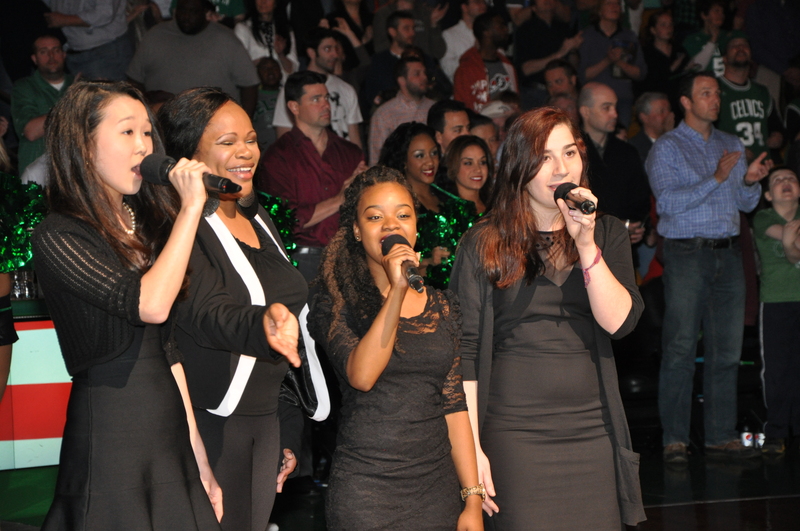 The Boston Celtics Shamrock Foundation presenting Berklee City Music with a donation at half-time. Berklee City Music providing full-college scholarships to students from across the Berklee City Music Network at the Scholarship concert this August. You can support these organization and members of the Berklee City Music Network by visiting their websites (click here for a list of Network members). Berklee City Music sends a big Thank You to all those mentioned above, our Network members, and supporters for their continued efforts to Making Dreams Possible One Note at a Time. 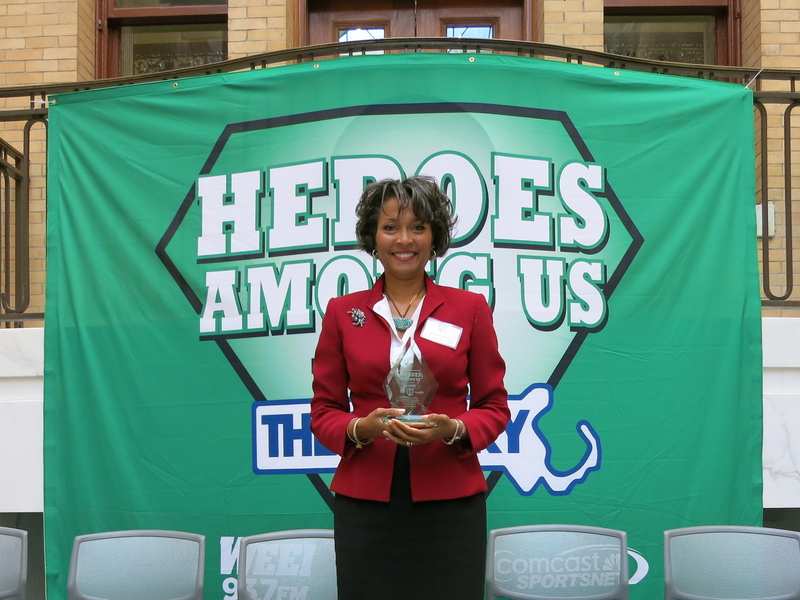 Last Tuesday August 6, Dr. Krystal Banfield, Dean of Berklee City Music, was recognized at the 15th Annual Heroes Among Us Award Ceremony. 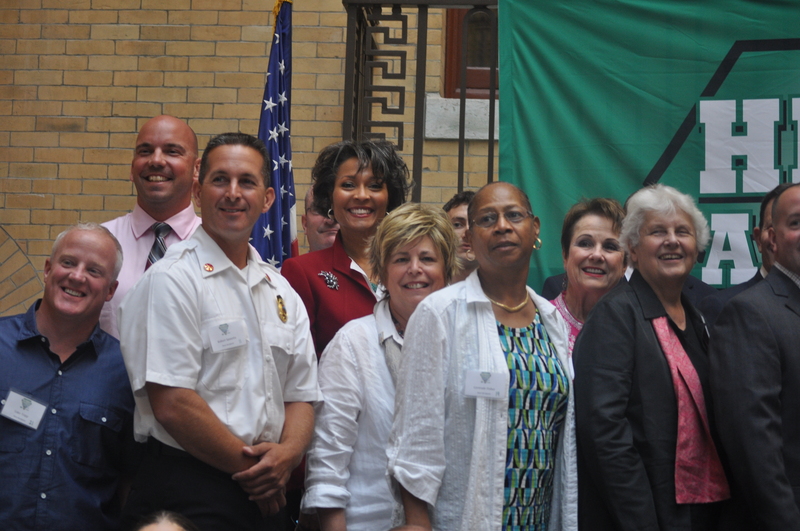 The ceremony, held in The Great Hall at the Massachusetts State House, honored individuals for their commitment to serving their communities and making a lasting impact in the lives of others. 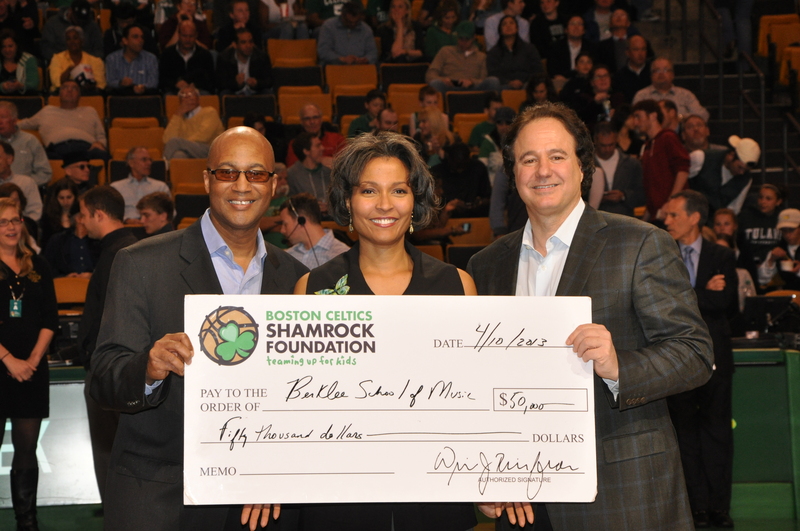 The award was presented by Eddie Palladino, Public Address Announcer for the Boston Celtics; Steven Grossman, Treasurer for the Commonwealth of Massachusetts; Bob Epstein, Celtics Co-Owner and Managing Partner; Jared Sullinger, Celtics Forward; and Edward F. Davis, Police Commissioner of the City of Boston. 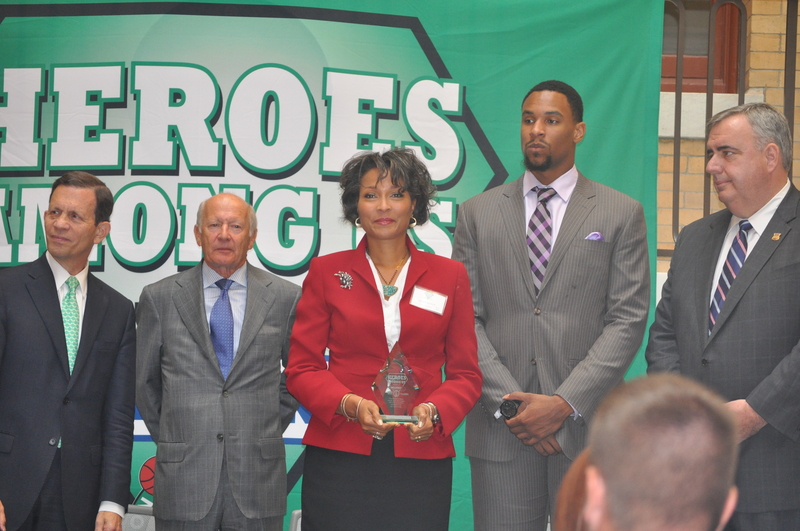 J. Curtis Warner, Jr., Executive Director of Berklee City Music, has also received a Heroes Among Us Award. It is very exciting that Berklee City Music leadership continues to set the precedent for music education access and outreach.